Why use essential oils? Well, there are a number of reasons. Essential oils are the oldest medicine known to mankind. We are talking Egyptian and biblical times old. Through out history, oils have been used for anointment, embalming, status and gifts. 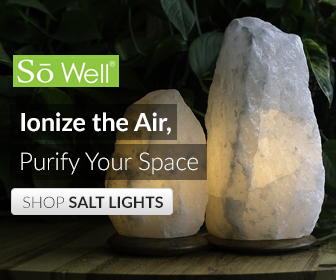 Now, they are used to relieve pain, headaches, help us relax and clean the air in our home. Don’t be fooled though, there are different types of essential oils. There are essential oils, and then there are Therapeutic Grade essential oils. Therapeutic Grade Essential Oils refer to the distillation methods, what parts of the plant is used, harvest season the soil condition the plant was grown in, what fertilizers were used through out the growing time etc. Therapeutic Grade oils are grown only in the best conditions, in the best and organic climates and then distilled purely with no additives. So when you are buying an oil, make sure it is Therapeutic Grade. To answer the question you’re probably thinking right now, yes, there are hoops to jump through for a company’s oil to be labeled therapeutic. Otherwise, all oils would be labeled as such. Young Living oils are Therapeutic Grade. They have farms where all the plants and trees used for their oils are grown and harvested. The founder of Young Living oils, Gary Young, chose this way to ensure the environments are perfect for his oils. Young Living farms are all over the world so that native plants are grown in their native conditions to grow the best possible plants and trees allowing a perfect start to the oil process and they can therefore deliver their ‘Seed to Seal’ promise of purity. Now that you know the difference between oils, lets chat about why to use them. 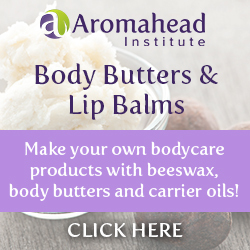 How can essential oils help your health and home. In cases, the regular use o essential oils can reduce stress levels, calm the nerves, help with sleeping patterns, relieve headaches without popping an Aspirin or Advil and, much like plants, they clean the air in your home. So, in short, essential oils improve your health and with the line up of Young Living essential oil products, you too can have a chemical and toxic free home. What’s not to love about that?! The biggest question I get is: do they work? Yes they do. You must believe it with your whole being that they do. There are many skeptics turned believers out there. If you’re a skeptic, you’ve come to the right place to learn about how essential oils can help you. A good friend introduced me to the use of essential oils. And even though I was not new to using oils, I was new to therapeutic grade essential oils, Young Living and using the oils on a regular basis. I had only used peppermint and lavender essential oils for headaches and for my Yoga meditation practices. I was very ill when my friend came to see me and popping two or three Advil a day just to function! She slapped my wrist and lent me her Young Living starter kit. she explained how to use the oils both in the diffuser daily and topically. A week went by, I started feeling better and weened off the Advil. Then I started using the essential oils for other reasons. Restless leg syndrome, ever heard of it? If not, this syndrome makes it feel like you can run a marathon at the most inopportune time, when you need to sleep, at 2 am to be exact. It can be extremely painful. So, I did some research. Turns out massaging lavender oil on the bottom of the feet before bed time was a suggestion for restless leg syndrome. And you know what, it worked! I have been sleeping deeply and uninterrupted for months now. For reals. The more research I did, the more I learned about and used the oils, the more I wanted others to know the huge benefits essential oils provide. ← Diffuse your oils in style!